A group of men was soaking up the scenery from a fishing boat, gliding smoothly across the beautiful waters near South Australia. The sun was shining, the scenery was idyllic. Wild dolphins followed the boat, adding to the picturesque majesty of the moment. "Look at that! 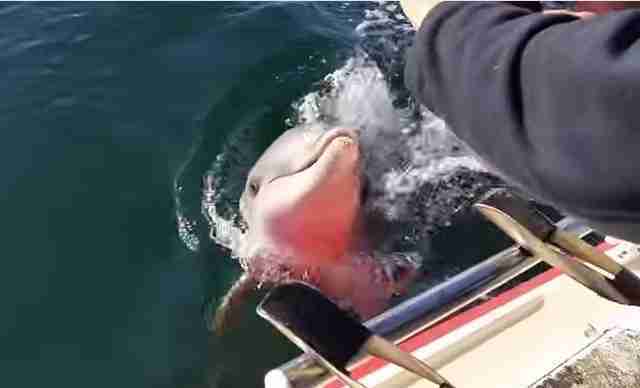 That's amazing," someone says about the dolphins swimming alongside their vessel. "He's showing off," another says. 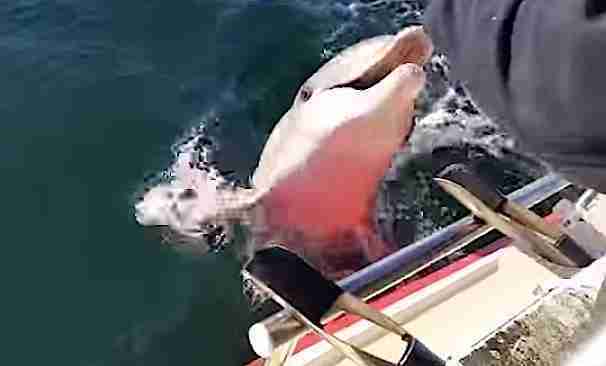 One man tries to capture the dolphin on his cell phone camera, leaning slightly over the side of the boat. 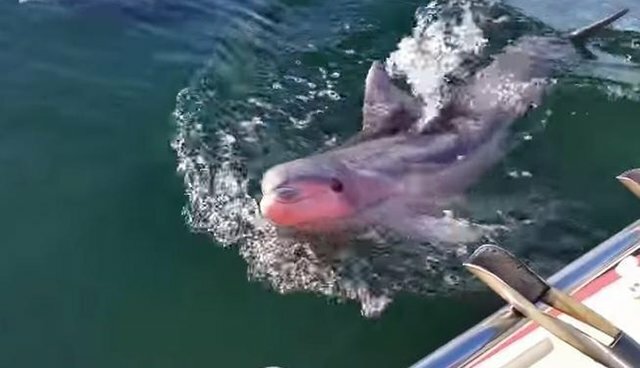 The adorable dolphin, with his permanently jovial expression, follows, looking up at him, almost posing. 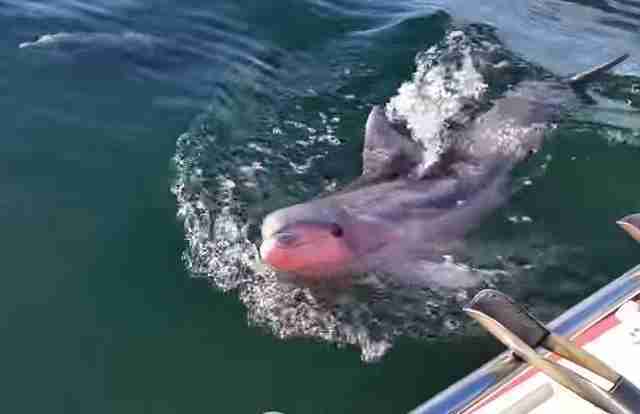 Then the little dolphin ... just leaps out of the water and tries to swipe the guy's cell phone. ... and don't let them get too close to you either.